VIVE LA ALBERCA CON NOSOTROS: SALAMANCA AND ITS CURIOUS FACTS; HISTORY AND LEGENDS. SALAMANCA AND ITS CURIOUS FACTS; HISTORY AND LEGENDS. Salamanca is a historical city that has always been related to history in a very strong way. The city´s origin dates back to the first “Iron Age”, about 2700 years ago. It has been witness of decadence and splendour. But in spite of everything, it´s still there, captivating every single person who visits it. The frog: It´s the most searched sculpture on the plateresque façade of the University. 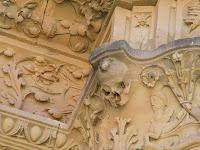 Over a skull, the students had to see the frog before examinations in order to pass all of them. The astronaut: There is a statue of an astronaut on the University Patio Escuelas door. It´s a sculpting hard to explain or interpret. 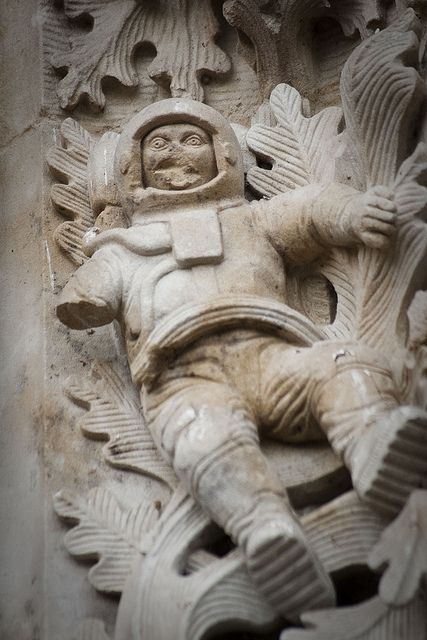 Its most important curious fact is that it´s the figure of an astronaut on an old façade. As a funny tradition, there is the “Water Monday”, on the first Monday after Lent. It´s called so because the young students used to cross the river Tormes to bring back in the city all the women that were libertines and who had been excluded from Salamanca during the Holy days of Lent. Around this tradition emerges also a typical dish of Salamanca, the Hornazo. A pie made with marinated loin, chorizo, cured ham (jamón) and boiled eggs. There are innumerable traditions, stories and legends around Salamanca. All of them with a bit of historical magic that makes them unique. Along the years Salamanca has been one of the most important cities of Spain. But it has also been forgotten sometimes. No matter what, right now it´s a splendorous city worth visiting and walking through their streets full of history in every corner. 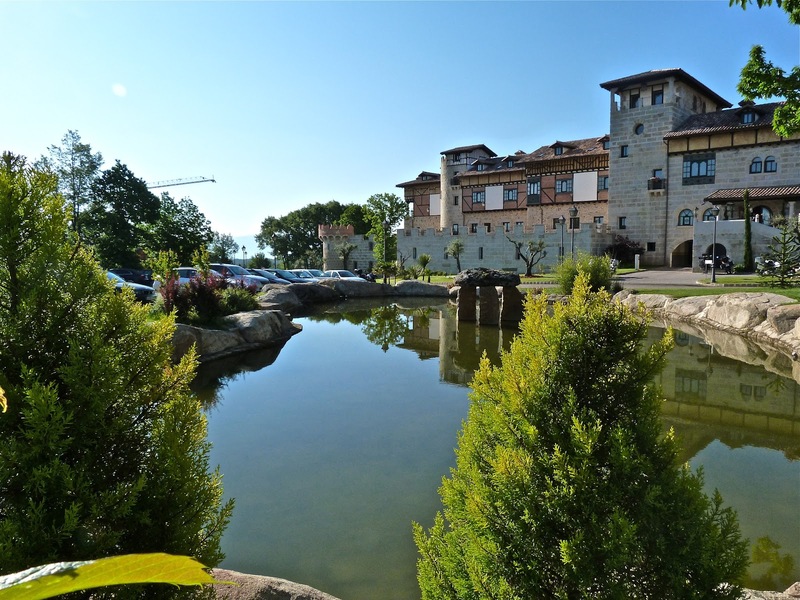 Once in Salamanca and after going around everything, we invite you to come to our little village, La Alberca, where you´ll be able to relax in our Spa, eat the best food in our restaurants and enjoy nature like never before. En cumplimiento de la Ley de Servicios de la Sociedad de la Información y de Comercio Electrónico (LSSICE) y de la Ley Orgánica 15/1999 de Protección de Datos de Carácter Personal (LOPD), con lo previsto en el artículo 9 de la LOPD, así como del Real Decreto 994/1999, del 11 de junio, por los cuales se regulan las medidas de seguridad de los ficheros automatizados, le informamos de que los datos de carácter personal proporcionados mediante la cumplimentación de formularios de registro electrónico contenidos en este blog no van a formar parte de ningún tipo de fichero, ni van a utilizarse para ningún fin por Carmen Urbano, la autora de este blog.